​Jess started CrossFit in 2014 because she needed a tool to help her battle her mental health issues. It was a rocky start as she hadn’t done any physical activity in a very long time and wasn’t very sure she would be able to lift any weights. And, like most women in this society, had the belief that she had to be a certain way to be perfect. After a few months of perseverance, muscle pain and excitement at learning news skills, she realized that what was important wasn’t the way she looked but the way she felt. CrossFit has helped her become the powerful and confident person she had always wanted to be. She stopped looking at the weight on the scale and traded that for how much weight she was lifting. She would soon find herself training everyday, her nutrition improved and she now had a different life goal than the one she had when she started. As time went by, she started picking up on how to improve her own technique as well as others’. 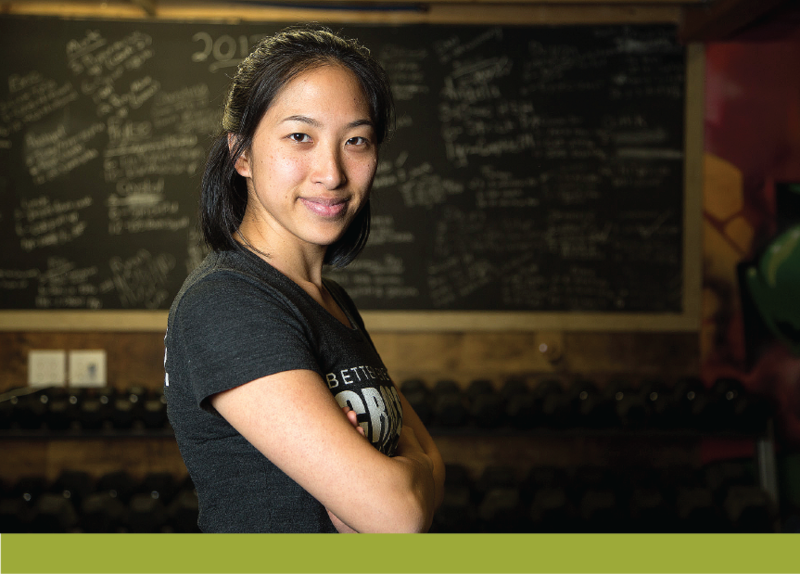 She decided to do the CrossFit Level 1 course in 2015 as a way to start building her coaching knowledge. With a design background, she’s a perfectionist. She’s very detailed, observant and caring and she happily shares her knowledge with anyone without hesitation.